3D game art, concept art and much more! Industrial products ranging from small to big! My biggest passion is creating traditional illustrations, primarily cars but also portraits. In this gallery you can find all my digital artworks. These will range from concept drawing, matte-paintings and vector illustrations to 3D visualisations and game assets. In this gallery you will find my traditional drawings. These illustrations are made by using graphite pencils, color pencils or markers. The gallery is primarily filled with cars, but in the future there will be added more portraits as well. 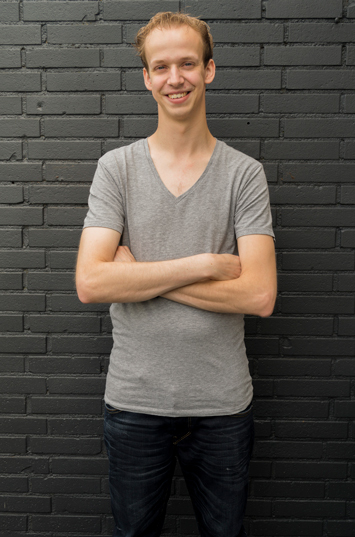 I’m Maikel van Hoof, 27 years old and I live in Valkenswaard(Noord-Brabant, The Netherlands). On the internet I’m better known as Laggtastic. I have developed a passion for both traditional as digital artworks. I have completed 2 studies, Desktop Publishing and Game-art, both at Sint Lucas. During my time at school I have learned a lot to develop my skills, but also during my internships at TVG Design, Graphic Design, 3Dimerce and Team6 Game Studios. Currently I am employed as 3D designer at Electude. Even though I’m graduated and gained a lot of knowledge, I want to keep pushing my boundaries to get better at what I do.